Nexus Mods will soon start paying popular modders for their work, thanks to a new system built around “donation points.” The first year will see the site set aside $100,000 to pay out to their top mods each month. Modders can opt-in for each of their files to receive donation points, or DP. Site managers will create a pool of DP each month based on the amount of cash available for that period, with the points getting distributed according to the number of unique downloads each opted-in mod received for the month. 1,000 DP translates to $1, and that money can be redeemed via PayPal, given to charity, or used on further premium memberships at the site. 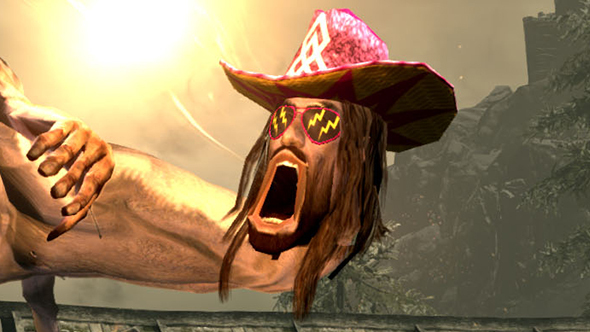 It’s never too late to dig into the best Skyrim mods. One possible source for the “drama” alluded to there is mods which make use of existing mods in creating new content. For those who don’t want their work reused in other mods that might get paid through this system, there are new permission settings for whether derivative files can make use of a modder’s uploaded work for DP. There’s still time for the kinks to be worked out, since payments will run on a rolling 90-day structure and it’ll be three months before the payouts start. More official attempts at making money off of mods – notably Bethesda’s paid mod system – have been decidedly controversial, but a more donation-focused version which keeps the mods free and simply pays creators may be able to avoid those issues.